Like second chances would it be great if we had a foundation that was like a "second skin". 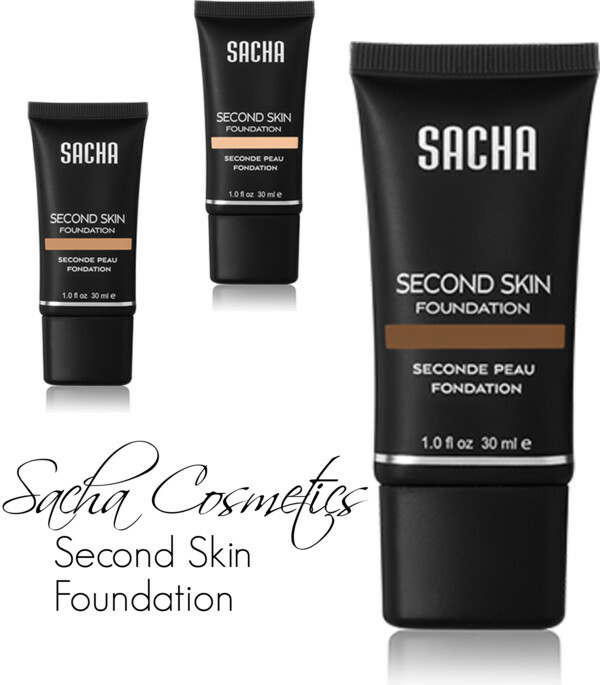 I thought this was an interesting opportunity I could not pass up, and so, I put the Sacha Cosmetics- Second Skin Foundation to the test, to figure out whether or not this was a "second skin" I wanted. Strangely enough, it was like a second skin!!! Sadly not in the way I wanted. I've said so many times before I have OILY skin and this second skin just gave me a double dose of oiliness, which would be perfect for someone with dry skin but not me. However, there's light at the end of this tube (tunnel). 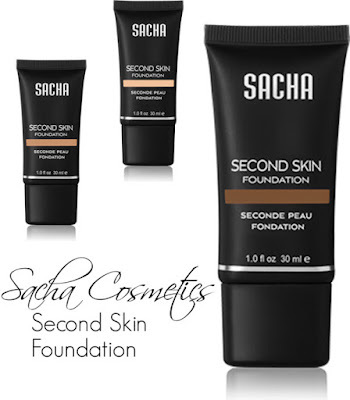 Unlike other foundations for woman of color the Sacha Cosmetics- Second Skin Foundation has a yellow undertone instead of the red, which means it's going to be the perfect match for you, if you have yellow undertones, additional a little foundation goes a longggg way, you only need about three to four small dots for a full face. The foundation is also full coverage which means all those under eye circles will be gone after proper application. However, this review would not be complete without me giving you all the "tea" before you spend your hard-earned coins. This Foundation transfers like nobodies business. The transfer is inevitable like white on rice, like water in a river, should I continue, no let me stop. I've found that the best application with this foundation is with a flat foundation brush and then with a wet sponge for blending (real technique blending sponge) this method gave me the most amazing finish. However it still transfers, but a lot less than it did before not even the Sacha Cosmetic Butter Cup powder holds it in place, which is sad I would think if anything will be able to hold this foundation in place it would be a combination of both products from the distributing brand. Overall I would give this foundation a solid 8.5/10, it's reasonably affordable ($20) compared to other brands that offer the same features. The Second Skin Foundation comes in 12 shades with the light beige for lighter skin tones to perfect copper for darker skin tones. Lightweight, natural looking and fits like a Second Skin. It is flash-friendly so you won't look white or ashy in bright lighting or photos. It is long-wearing with sheer to medium coverage and ideal for all skin types. Polyisobutene, Ethylene/Propylene/Styrene Copolymer, Aluminium Starch Octenylsuccinate, Talc, Dimethicone, Isopropyl Palmitate, Beeswax, PVP/Eicosene Copolymer, Lanolin, Di-PPG-3 Myristyl Ether Adipate, Iron Oxides﻿.